Stainless steel fabrication offers many tremendous benefits, some that you may not be aware of. Although there may be several stainless-steel fabricators near you, to ensure the best results possible, it is imperative that you compare different companies, including company history, areas of expertise, guarantee policy, pricing, and more. 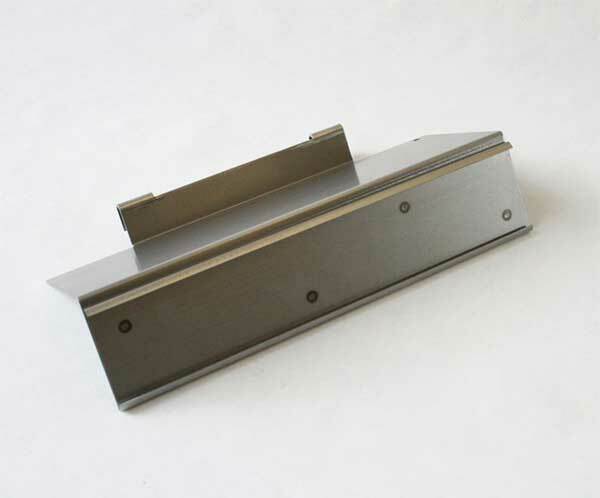 The goal is to find a fabricator that is qualified to make the exact part or component that you need. Especially if you have a rush or customized order, working with a trusted source is essential. Overall, an experience custom stainless steel fabricators provide outstanding products at competitive prices for various industries The key benefit is that a reputable fabrication company can make virtually anything. For example, stainless steel fabrication covers parts and components for home design elements, automobile manufacturing, electronics, HVAC systems, medical equipment, construction, and much more. You also need to consider that, with customized stainless steel fabrication, every piece made meets the customer’s exact specifications. Obviously, those specifications are not only unique to each customer, but to the product involved. Knowing that all metal elements are precise is a huge benefit of choosing stainless steel fabrication. Another advantage is that custom fabrication of stainless steel is done for any size of order; small or large. Whether you need 100 parts or thousands upon thousands of parts, automated systems get the job done without compromising on quality. When the work is performed by a skilled technician, there is no difference in size or shape of any component, regardless of how intricate. When the job calls for it, parts and components are finished to be aesthetically pleasing. That means that custom stainless steel fabricators are capable of making parts for kitchen cabinet doors, appliances, and many other things. Stainless steel is an incredibly strong metal, comprised primarily of iron ore, nickel, chromium, and silicon. Using stainless steel fabrication, the completed elements will provide years of flawless service. This metal is also recyclable, which benefits the environment. If you are interested in stainless steel fabrication, we would love the opportunity to help with your project. Weldflow Metal Products has the experience and expertise to ensure that your product is fabricated correctly the first time. Please call us today for more information or to schedule an appointment with a company representative. We look forward to having you as a valued customer. This entry was posted in Uncategorized and tagged stainless steel fabrication, stainless steel fabrication toronto. Bookmark the permalink.